Buying office stationery can be an exciting yet overwhelming endeavour. While it can be fun to shop for different items, it’s important to prioritise certain office stationery items over others so you don’t end up impulse buying items that aren’t necessarily needed. The office stationery you buy can say a lot about your business and how you care for your employees. After all, if you don’t have the correct supplies to help them complete their work, your employees won’t be able to be as productive as you might like. Read on to find out four helpful tips for choosing the best office stationery for your workplace. The first tip for buyingoffice stationery is to ensure you plan ahead and buy in bulk. Don’t just buy one batch of stationery, as you’re likely to quickly run out. Instead, it’s more beneficial − and also more affordable − to purchase office stationery in bulk. In order to do this successfully, predict what you think you and your employees will need for the next six months to a year. You’ll then need to come up with a stationery list and keep track of what you’re buying and spending for the entire year. 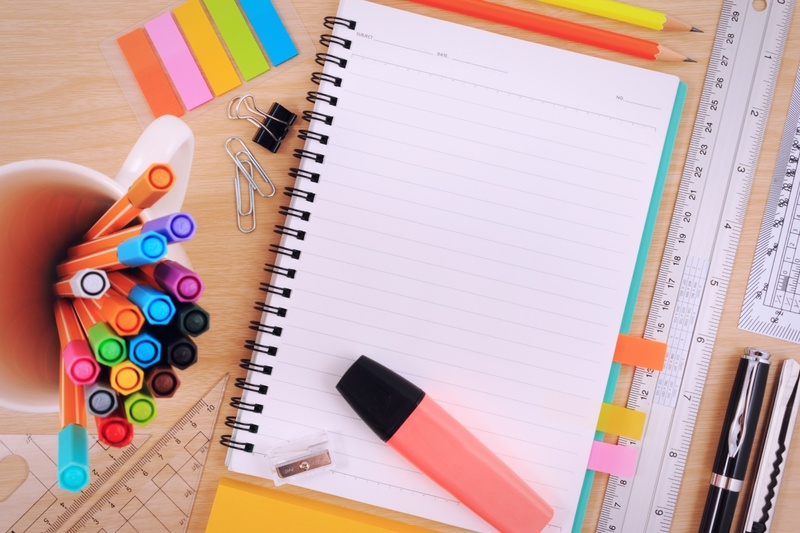 Once you’ve come up with a comprehensive list, you’ll be able touse it for the next year when it comes time to buy office stationery, saving you time and hassle. When purchasing office stationery, consider buying eco-friendly products that are better for your business as well as for the environment. Recycled paper and recycled plastic products are a great choice because they’re much more environmentally friendly. In addition to helping the environment, these products also give your business an image of social responsibility, which is highly regarded by customers. When buying office stationery, it’s therefore a good idea to consider eco-friendly products in order to help the environment and increase the reputation of your company. It’s important when buyingoffice stationery that you invest in quality products. You should never grab the cheapest option available, as very oftenthe cheapest products won’t last and will end up being a waste of time and money. Spend some time looking at the way the products are made and choose ones that look like they’ll stand the test of time. For example, choose notebooks with durable plastic covers that provide protection from spills and wear and tear. Buying quality products may be more expensive at the time of purchase, but you’ll save money in the long runwhen you don’t have to spend money on replacements. Lastly, it’s essential to ask for employee input when purchasing office stationery for your workplace, helping to give you a good idea of what your employees actually use and need. In addition, be sure to get a rough estimate of how much office paper, staples and other consumable supplies they use. This information will help you decide on the most suitable office supplies for your business and also assist you in buying the correct quantities. Hi, I’m Duke! Welcome to my blog. I am a very goal-oriented person who loves a good challenge. I believe in giving my all to reach new goals and always put in my fullest potential in all that I do.